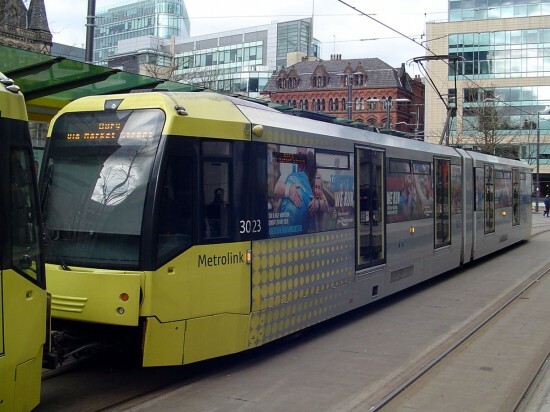 It has been a while since we featured a change in adverts for trams on Manchester Metrolink and although there still aren’t any full new adverts to report on a couple of M5000s have recently seen some changes. The trams in question are 3023 and 3080. Keeping its full standard Metrolink fleet livery 3023 has received full window adverts for the Great Manchester Run on Sunday 20th May (and so presumably will retain these until at least that date). The doors have been kept free of adverts and there are no other amendments to the livery. 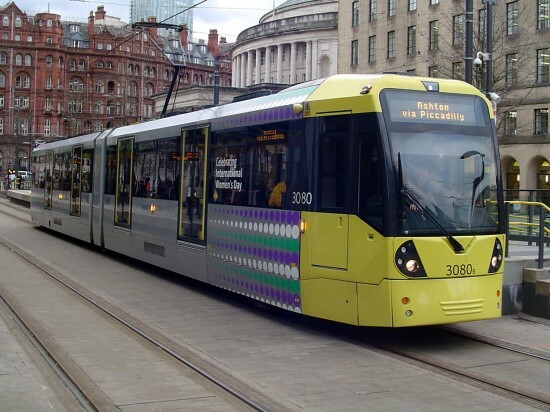 Meanwhile 3080 has proven again that leopards may not change their spots but Metrolink trams do! 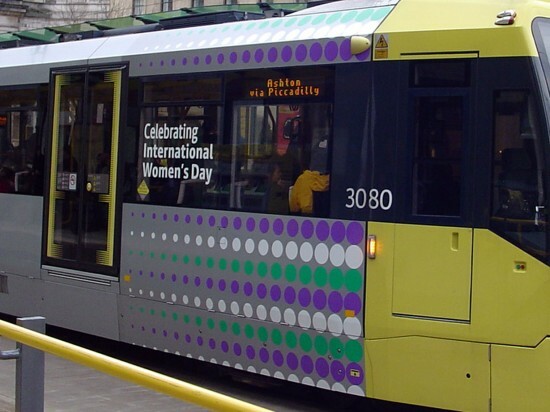 In recognition of International Women’s Day the spots – usually yellow – have been changed to purple, white and green. There is also the legend “Celebrating International Women’s Day” on the windows closest to the cab. 3080 at St Peter’s Square on 20th March 2018 with its revised spots. A close-up of 3080’s spots. 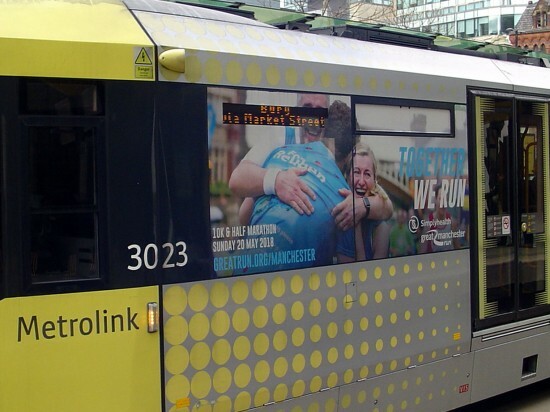 3023 is also seen at St Peter’s Square on 20th March showing the window adverts now applied for the Greater Manchester Run.